Buying a highly durable Trailer is not enough as proper maintenance and repair service are also very important for the continual use of the trailer. 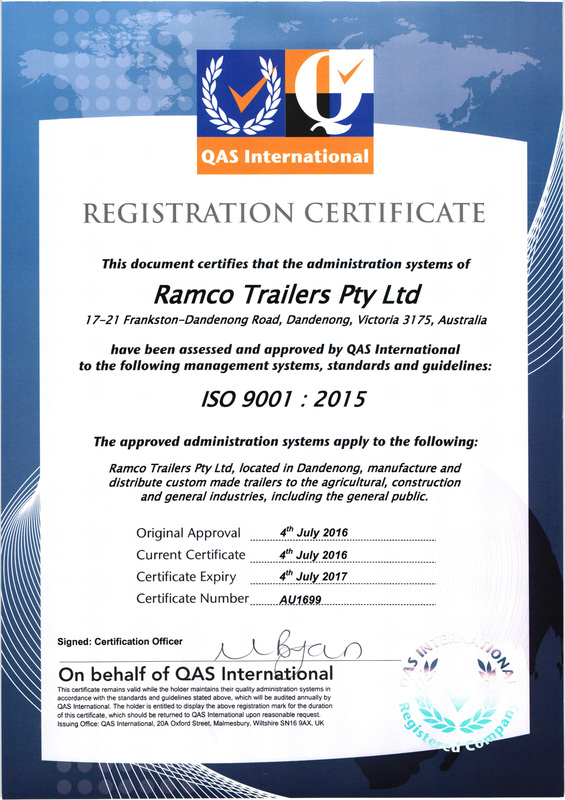 Being a leading trailer manufacturing and supplying company in Australia, Ramco Trailers also provide reliable Trailer Repairs services around Australia. We have highly professional and experienced team members who guarantee their Trailer Repairs service with routine maintenance, upgrades and accessory installation. Our highly qualified technicians are able to repair trailers of all types including Car Carrier Trailers, Box Trailers, Bike Trailers, Rack Trailers, Lawn Mowing Trailers, Tandem Trailers, Flat Top Trailers, Machinery Trailers and several others. Our extensive Trailer Repair expertise ensures that we are able to provide you with the service that you need, wherever you might be! You just need to contact us at our website or give us a call whenever you require assistance with Trailer maintenance and repairing to ensure the smooth working of your trailers.